Armenian Embassy to Austria has organized a traditional visit to Mekhitarist Congregation in Vienna, the Armenian cultural and educational center in the country’s capital, operating for more than 200 years. The group of the guests comprised the head of the Department of Eastern and Southern Europe, South Caucasus and Central Asia, Austrian Foreign Ministry Katarina Vizer, the head of cultural cooperation department Teresa Inguayin, other members of the foreign ministry. 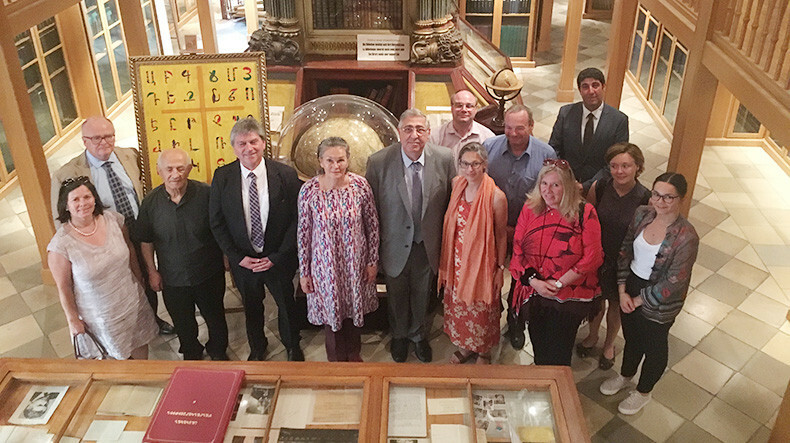 As the press department at the foreign ministry reports, the guests toured the premises of the Congregation accompanied by Armenian Ambassador to Austria Arman Kirakosyan and Abbot Archbishop Kodjanian, got familiarized with the rich collections and the library of the museum and the Church. The guests paid special attention to the exhibition of the museum named “Republic of Armenia-Austria-1918-1921: Official Interactions” organized by the Armenian Embassy on the occasion of the 100th anniversary of the first republic.